Physics and theology are hard to combine –and an attempt to open a theology department at a prestigious Russian nuclear physics institute has stirred up a storm of protest and verbal sparring between scientists and clerics, highlighting Russia’s increasingly tense religious-secular divide. 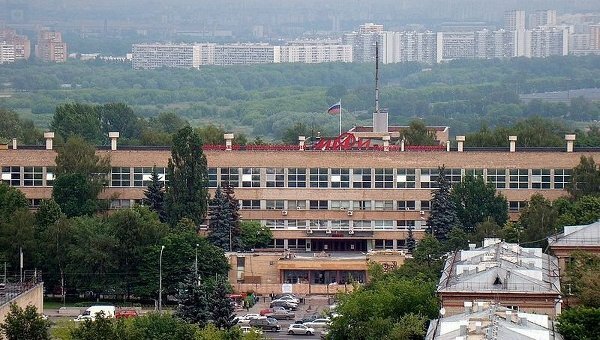 The new department is due to open in the fall at Moscow’s National Research Nuclear University (MEPhI), ranked the third best institution of higher learning in Russia, according to a 2012 survey by the business weekly Expert. But the plan has numerous ardent critics, who call it an infringement on secular education by the Russian Orthodox Church, which has been playing a growing role in public life since the fall of Communism. Church representatives, meanwhile, argue that the department would not actually focus on theology, but on a more general set of subjects in the humanities, and that the idea for the department came from the university’s administration. The first salvo in the war of words came in October, shortly after the plan was announced, in the form of an open letter by 91 members in good standing of the Russian Academy of Sciences. Though the letter went largely unnoticed at the time, a petition against the new department was launched online June 1, and has gathered 3,260 signatures as of Thursday. Despite the modest numbers, the conflict has attracted considerable media attention in Russia. “Banning a priest from acting as a teacher at a secular college is religious discrimination,” Shmaliy said Tuesday in comments emailed to RIA Novosti. Despite its name, the department plans to teach elective humanities classes such as History of Christian Thought and Art History, not theology per se, he said. The church, however, had largely failed to explain these plans to the public, a number of MEPhI staff and priests told RIA Novosti after the scandal broke out. The controversy has been fueled by allegations from a former MEPhI researcher, Anton Buslov, who said in a blog post Sunday that the university administration had pressured him for opposing the college’s clerical leanings until he quit in December. According to all the people interviewed for this article, MEPhI’s leadership has been the main driving force behind the university’s closer ties with the church. It was the school’s administration that pitched the idea of creating the theology department, Shmaliy said. And both Buslov and earlier press reports said that MEPhI rector Mikhail Strikhanov had a Soviet-era sculptural emblem of the school torn down and replaced by a Christian cross when church leader Patriarch Kirill visited the university in 2010. Strikhanov did not return a request for comment sent Tuesday and an assistant said Thursday that he would be out of town for the rest of the week; no one else at MEPhI, she said, was authorized to comment. Many respected Western universities, including Harvard and Oxford, have theology-related departments, even seminaries and divinity schools. But most of these were established between the 15th and 19th centuries, when the dominance of Christianity in those countries was unquestioned. MEPhI, on the contrary, was founded in 1942, during an era of state-enforced atheism, to develop munitions for the Red Army, and the theology-department initiative seems to reflect the Russian Orthodox Church’s growing clout. Since Kirill became patriarch in 2009, the church has ratcheted up its campaign to expand involvement in Russian public life: It has successfully lobbied for the introduction of chaplains in the army and elective religious classes in schools, according to Roman Lunkin, a sociologist focusing on religious issues. Patriarch Kirill also vocally backed President Vladimir Putin during controversial elections in 2012. The church’s alliance with the Kremlin is resented by many in the intelligentsia and the middle class, who were the backbone of recent anti-government protests. The stark divide between liberal Russians and conservative supporters of the church became most apparent with the notorious performance of punk band [deleted] last year: Three group members were sentenced to two years behind bars for singing an anti-Putin song in a Moscow cathedral, qualified by the court as inciting religious hatred; two remain jailed. Thirteen percent of Russians self-identify as non-believers, while the proportion of Orthodox Christians stood at 41 percent, according to a large-scale 2011 study by independent pollster Sreda, which focuses on religious issues. “I’ll never forget walking between campus buildings to get some liquid nitrogen and encountering a cross-bearing procession on the way. I struggle to come up with a more ridiculous picture,” said Sadovsky, himself an atheist. Even some religious MEPhI employees have been rattled by the idea. “I’m not opposed to the idea of creating such a department in principle, but this is just a status thing for the church … while the rector ignored the university’s needs for his own political gain,” one Christian staff member said on condition of anonymity, due to the sensitivity of the debate.